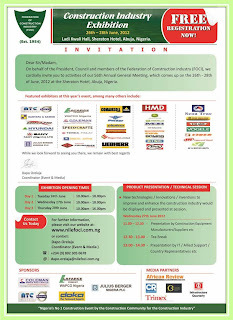 The official invitation of the Construction Industry Exhibition 2012. 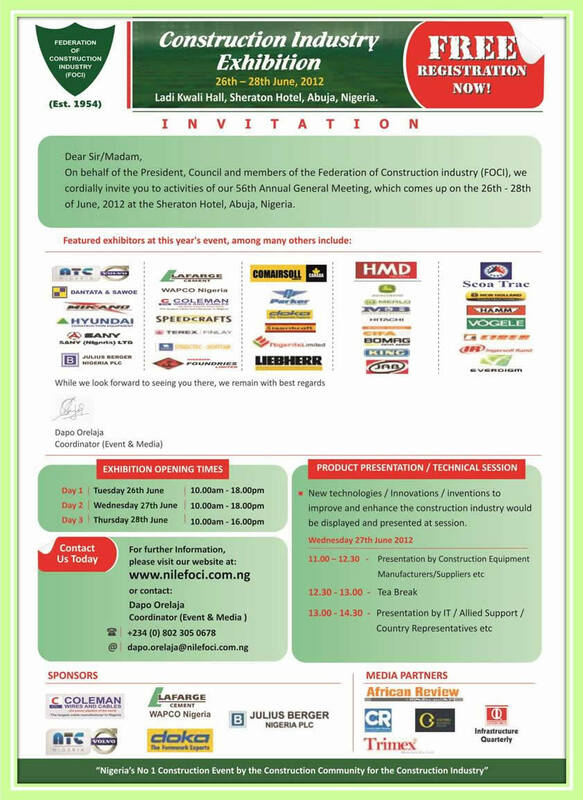 The event is organised by the Federation of Construction Industry (FOCI). 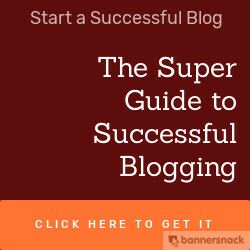 Visit http://www.facebook.com/nilefoci to get more details about this event. Labels: Construction, Exhibition 2012, FOCI, Industry, invitation.